A country owes its freedom to those who have served in previous wars, and it is important not to forget that. Stanley Stolz was born on May 29th, 1945. He grew up on a farm in Curlew, Iowa, with 3 Brothers and a sister. He was drafted into the Vietnam war and, when he came back home, like most war returnees, he had lost a part of himself. His friends said he never spoke about the war. Shortly after, he lost an eye and was moved to Bennington. In Bennington, he met the love of his life, Pamela Muhleka and married her in 1974. Sadly in 1984, he lost her to cancer. He was distraught, but he eventually married again. However, this marriage didn't last. According to Stanley's second wife, he struggled with substance abuse as an effect of the war. He had no children. He moved back to Curlew and took care of his mother until she died. From then on, he lived in and out of nursing homes. Good Shepherd Home Director said he was told Stanley had no family and so the funeral home decided to pay for an obituary in the local Newspaper inviting the public to the cemetery 'to honor the Vietnam Veteran with no known family'. From there onwards, it grew a life of its on and it went viral all over Twitter and Facebook. It was an honor to be among the people there to honor Mr. Stoltz. What an amazing turnout! On his funeral day, more than 400 strangers were in attendance to pay homage to a man that risked his life for them. Many were in their military uniforms. Civilians were also present and, despite the biting cold, they all endured the weather as no one wanted Stanley to be buried alone. Mike Nash, a fellow veteran, spoke to KETV saying he closed up his shop to pay homage to his brother who had given up his freedom by joining the military. Surprisingly, members of Stanley’s family showed up but refused to talk to the media. The flag on Stanley's coffin will be flown on Memorial Day unless his family claims it. Stanley's story has inspired a lot of people to do good for their community and those in need. The Omaha police department has commended the efforts of everyone who took out time to honor Stanley. These people have done their duties in serving their country, and now it is your turn to do your duty and help them in any way you can. Say Thank You: This magic word can go a long way in showing your appreciation for them. 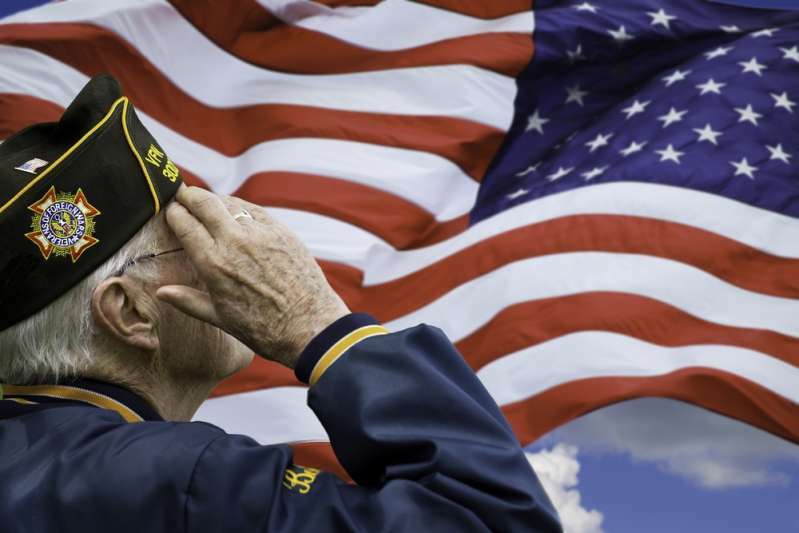 Donations: Donate household items to Veteran homes. Help a veteran build a home: Organize people, and take some time off to help however you can in making a house for them. Share their stories: Most veterans have no one to help them and no one to share their stories with. Do not hope for change. Be the change. Rest in peace, Stanley Stolz. Your name shall not be forgotten.